Para Leer en Español, Haz Click Aquí. I love fresh juices, especially when they are made with real fruit. Being from a very hot city in Mexico where there definitely is no Winter, fresh, cold beverages are very popular. 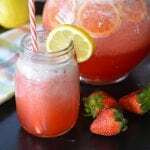 Horchata, Jamaica juice, and of course fruity beverages like this strawberry lemonade are a big hit when it is hot outside. This is especially convenient when strawberries are in season – what is better than a delicious drink for a fraction of the cost? This is a great choice for parties, barbecues, or for any other family get togethers. The perfect amount of lemon balances the sweet flavor of the strawberry syrup that forms the base of this recipe. You can use this same syrup to go with ice cream, crepes, or even cakes! 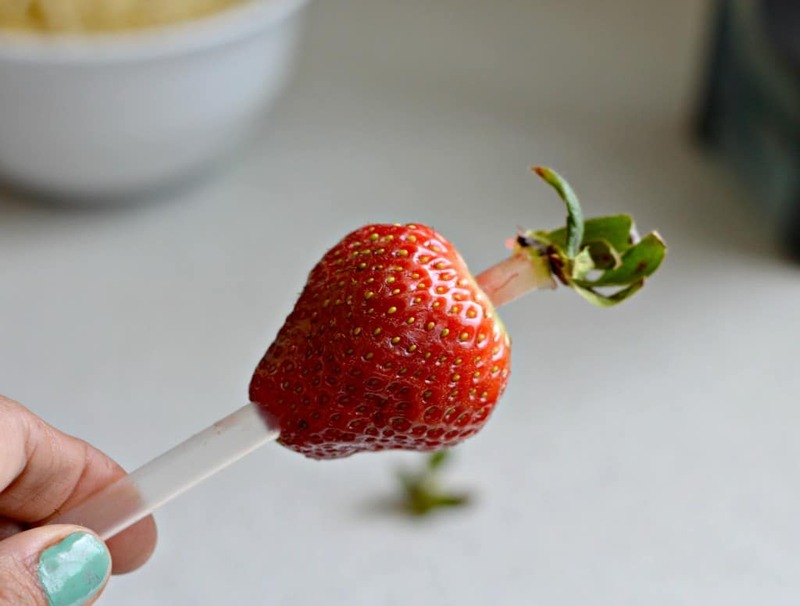 To make the strawberry syrup, start by adding a 16 oz package of fresh strawberries, 1.5 cups of sugar, and 1/4 cup of water and bringing to a slow boil until the strawberries are soft (about 5-8 minutes) and then let the syrup rest at room temperature. Next, blend the syrup with 1 cup of lemon juice, and 2 liters of water. 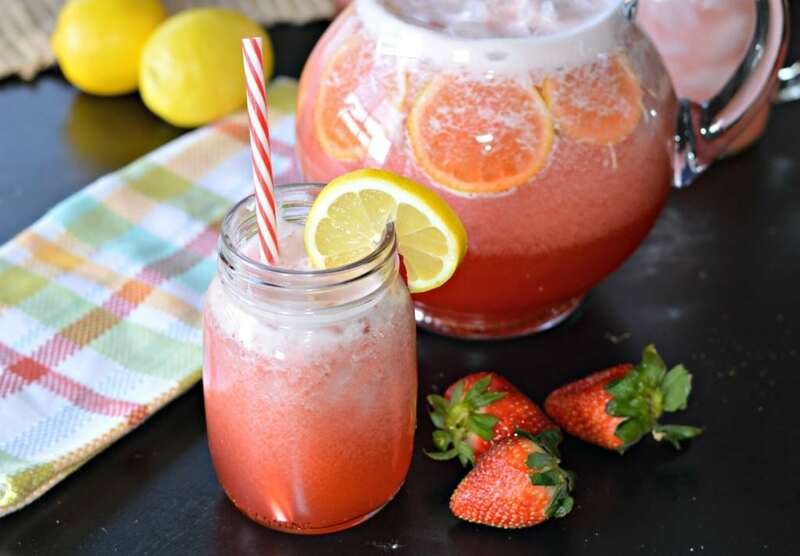 Pour the entire mixture into a pitcher and add ice, fresh cut strawberries, and lemons, and ice. 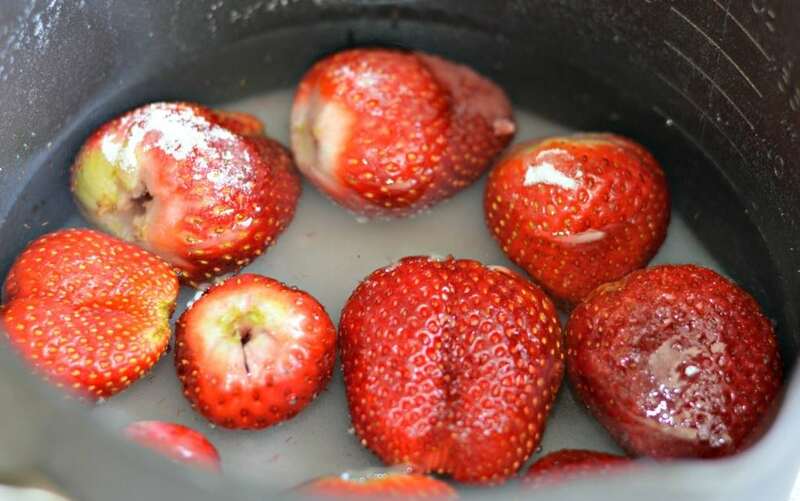 Start by making the strawberry syrup, adding the strawberries, sugar, and water to a saucepan and bringing to a slow boil until the strawberries are softened - about 5-8 minutes. Blend the strawberry syrup with the water and the lemon juice. 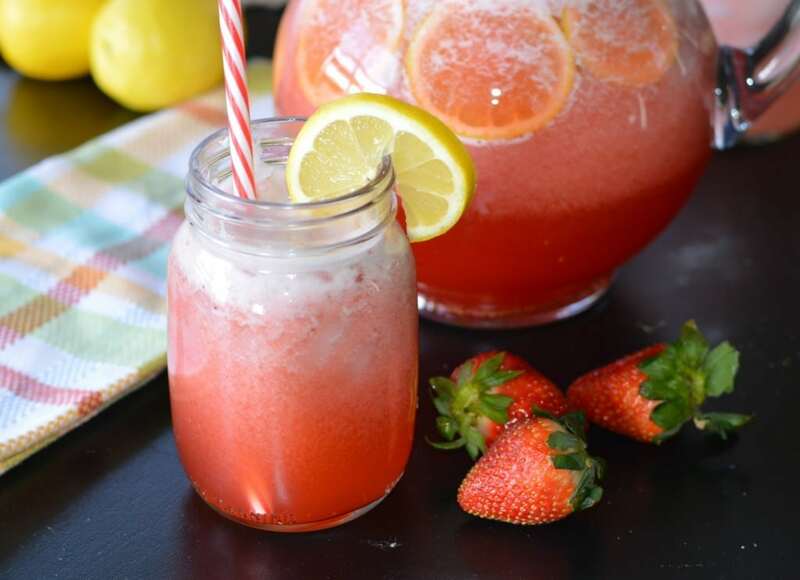 Pour into a pitcher and add fresh strawberries and lemons, and serve with ice. YUM! This looks delicious and just in time for spring and summer! Pinning this now!